If you have one or more damaged teeth, you can trust your smile with Dr. Martin of Martin Dental. When you visit our location in Queen, you’ll discover a staff with years of expertise in rebuilding teeth with durable restorations. Restorative dentistry describes a number of different dental procedures, including crowns, bridges, and dental implants. Are you dissatisfied with cracked, broken, or worn down teeth? We can bring back your healthy smile with one or more dental crowns. While an ordinary dental filling can reverse a small defect in the tooth, it isn’t extensive enough to repair more severe damage. A dental crown, on the other hand, is often the strongest and most durable way to strengthen your smile. A crown is a tooth-shaped cap that fits over a damaged tooth, and a bridge is a series of crowns used to replace missing teeth. 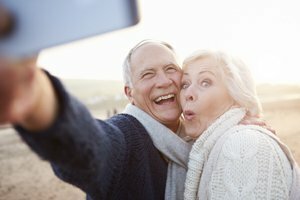 We design our crowns and bridges with all of the materials and techniques modern dentistry has to offer, so you’re going to love your natural-looking smile. We are proud to announce our top-of-the-line Dental Implant Center here at Martin Dental. Our dental implants are created with a medical-grade titanium alloy that fuses directly with the bone. If you have missing teeth, dental implants are the most natural way to regain a full and complete smile. Our caring team will place and restore your dental implants right here in office. Your dental implants will allow you to get back to your worry-free daily life, and enjoy a beautiful smile that will last a lifetime. If you’re unsure about which restorative dentistry will be best for your smile and budget, call our office to make an appointment. Dr. Martin would be happy to guide you through your options and give you all of the information you need to make the best decision for you. Contact us today!